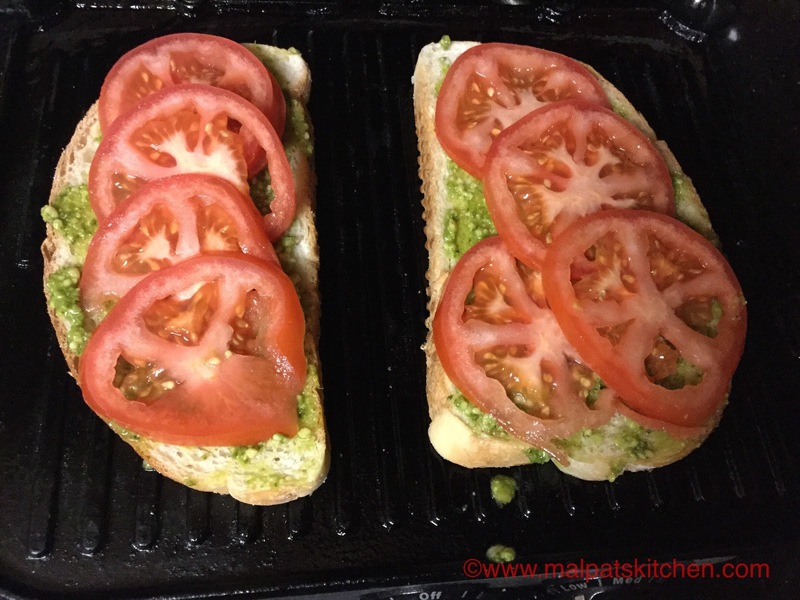 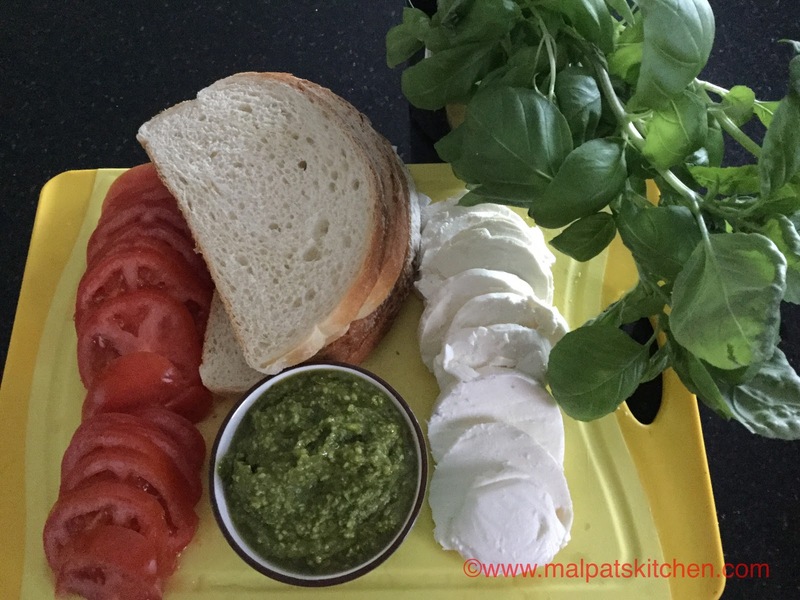 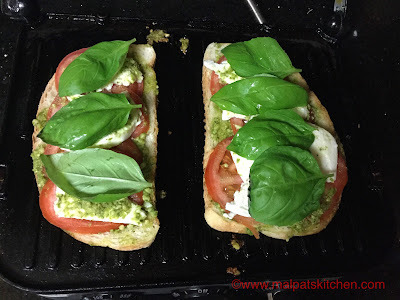 Caprese Panini....what is it? Pronounced as "kapreesi", is nothing but the classic and delightful combination of mozzarella cheese, tomatoes and basil with the bread of your choice, then these ingredients are grilled to a tasty and awesome panini. This panini derives its name from Capris, an island in Italy. 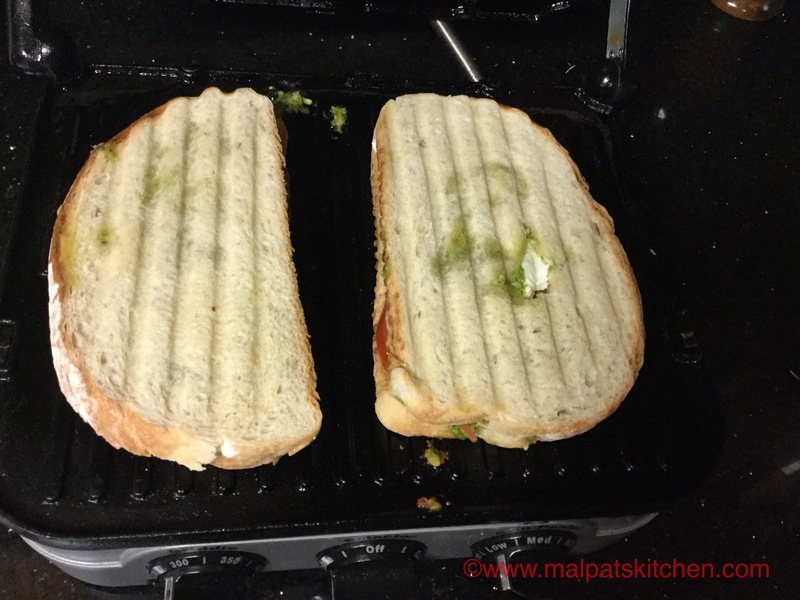 Serve these mouth-watering, tasty paninis with some baked chips and fresh home-made tomato soup. 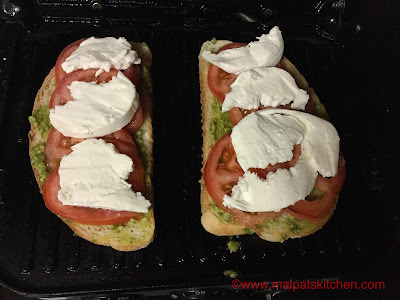 * Any kind of cheese, mozzarella, cheese slice can be used. 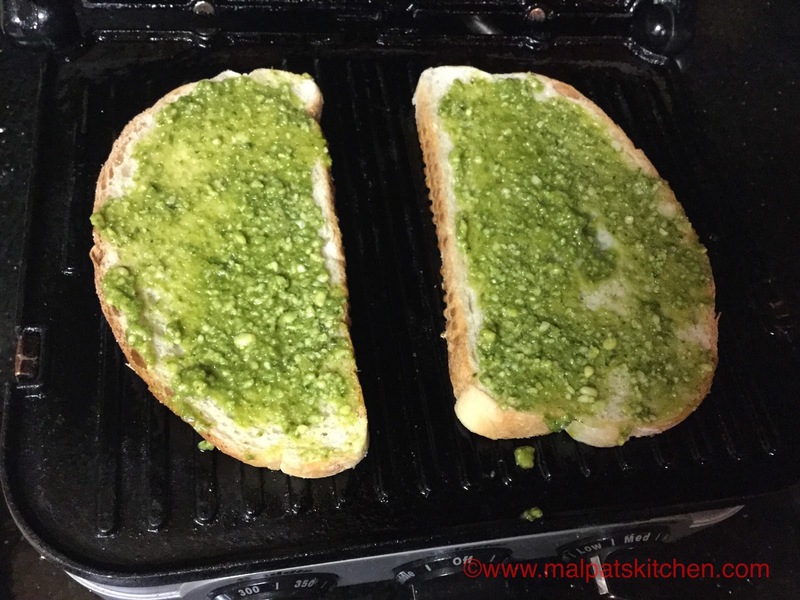 *Any bread, with slightly broad and thick slices will be appropriate.